Barbra Adjei-Drummond was born in Townsville North Queensland and was raised in Brisbane and Port Headland Western Australia. Barbra’s heritage includes Aboriginal, Malaysian, Samoan, and Torres Strait islander, her maternal Grandmother is from Mabuiag Island west of the Torres Strait belonging to the Wagadagam Tribe, with the Crocodile presented as their totem, while her maternal Grandfather is from the Yadhaigana tribe belonging to Shelburne Bay Cape York, and her father comes from the Ashanti tribe in Ghana Africa. Barbra graduated from the NAISDA dance college in 2004 with a diploma in dance. 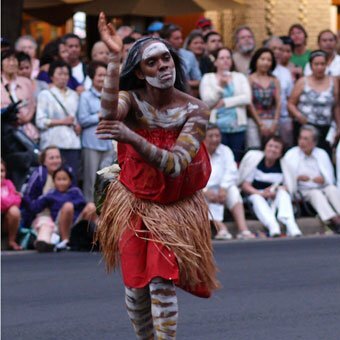 Barbra made a big impact as a freelance dancer and has worked for the leading indigenous Dance Companies, producers and Choreographers in Australia including Bangarra, Descendance, Rhoda Roberts, Raymond Blanco, Albert David, Bernadette Walong and Gail Mabo.